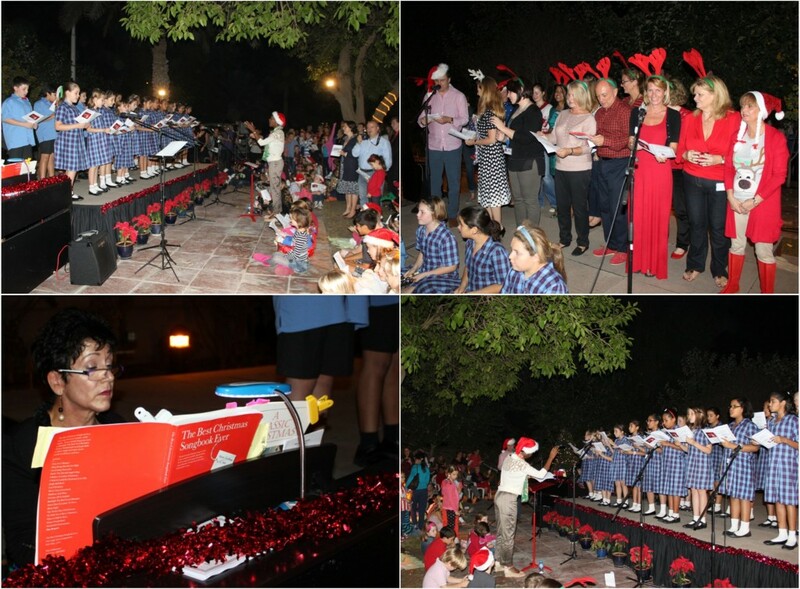 Twenty-one children, Ms McLeod, Mrs Patrick and a St Chris Clavinova piano made their way over to a sunny afternoon rehearsal of Carols for The British Embassy. The rehearsal went to plan and all the children had prepared really well. They were ready for the next day when they would sing in front of an invited audience of over 500 parents and guests from Bahrain. The night was cool and temperate and the children stepped on to stage looking and sounding fantastic! Nine carols later and Santa made an appearance. Even the grown-ups were excited as the atmosphere was so festive. Thank you to all the children for their hard work and to Ms Mcleod for her conducting!